This level has easy difficulty and you need to use good technique to complete this level. 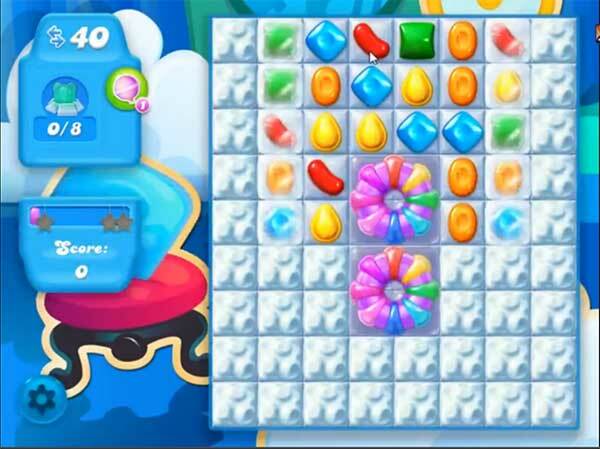 For this level you should try to play near to new cake booster and as you will break this it will weak the blockers. After break the snow to find the bears or use special candies to break snow more within less moves to reach the target. I’ve played it the way the suggestions tell me to, and I just can’t seem to get off of this level. It’s very annoying when it takes forever to get off a level. That video is so stupid there’s no way anyone gets that many 5+ candies. They’ve made that video look deceptively easy.